This book offers an unparalleled look into Calafornian winemaking, history and geography. It includes winery profiles and tasting notes, winemaker interviews and recipe and food pairings. Itfeatures a foreword by Michael Mondavi and preface by Kevin Zraly-two of the most powerful names in wine today. From Napa and Sonoma to Modesto and Calaveras, take an unparalleled look into California winemaking, history and geography. 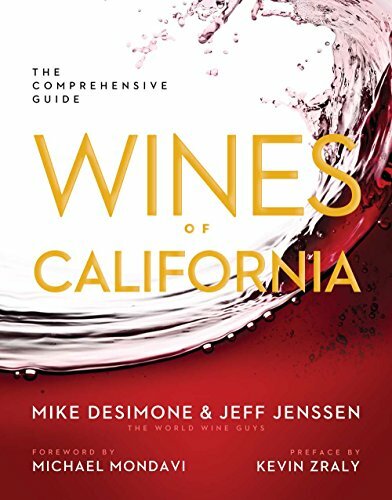 'World Wine Guys' Mike DeSimone and Jeff Jenssen have created the most up-to-date and comprehensive coverage of the state's myriad wine-growing regions, including detailed listings of outstanding producers with individual tasting notes. Enjoy winemaker interviews, recipe and food pairings, and photos of all, including wine labels. In addition, there's a foreword by Michael Mondavi and a preface by Kevin Zraly-two of the most powerful names in wine today. Mike DeSimone and Jeff Jenssen, also known as the World Wine Guys , are award-winning journalists as well as bestselling and award-winning authors. They have been featured guests on The TODAY Show, The Martha Stewart Show, and the CBS, FOX and NBC networks, and they are the Entertaining and Lifestyle Editors at Wine Enthusiast magazine, as well as regular contributors to other publications. The duo regularly host wine tastings and educational seminars around the world. They have received the prestigious Golden Pen Award for food, wine and travel journalism and have been inducted into the Chevaliers du Tastvin at the Chateau du Clos de Vougeout in Burgundy. Please visit them on worldwineguys.com.